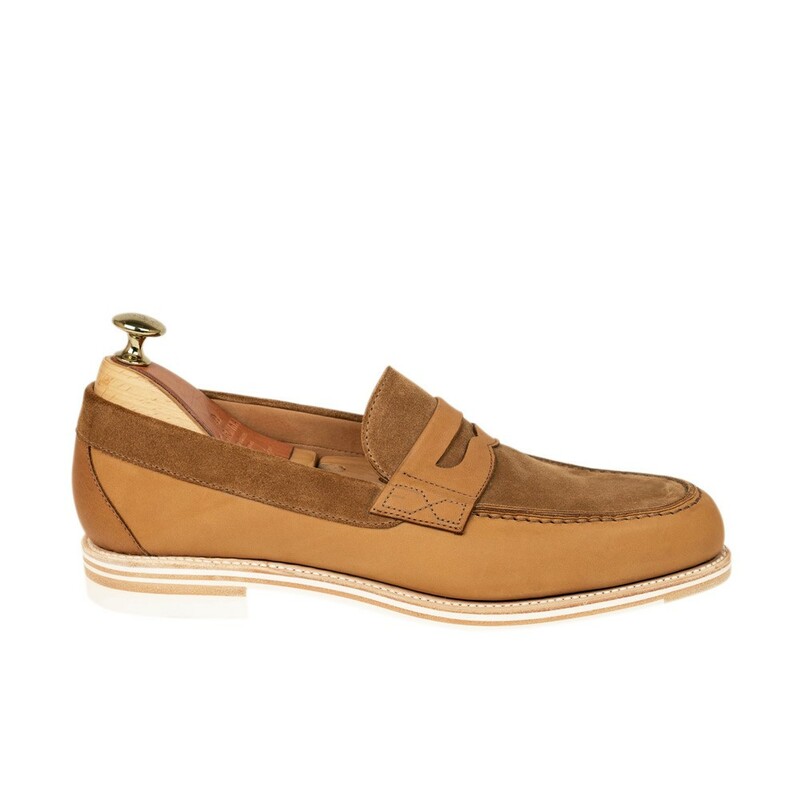 Penny loafers in vogue tobacco suede & tobacco vogue. 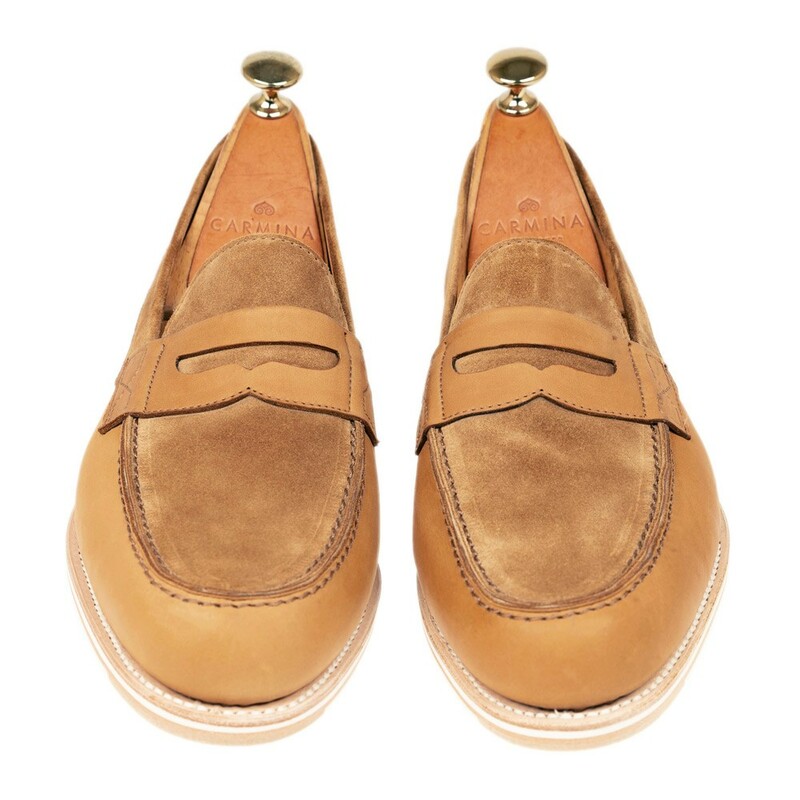 Featuring our exclusive EVA sole with a Goodyear welt-construction and calf lining. Style made on Mestral last.
" SOFT & HARD "
Description of the shoe concept that introduces a new development without compromising our Goodyear manufacturing. This new concept will be marked externally with the “Carmina Soft and Hard” name to distinguish them from the traditional Goodyear welted shoes. They will be known for their comfort and new aesthetic. The characteristics of this new Goodyear will be based on their lightness and the types of leather used. 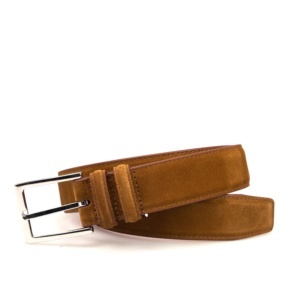 The leather used will initially be suede combined with the rear part of suede, similar to nappa. The combination will therefore result in a very soft and silky touch. 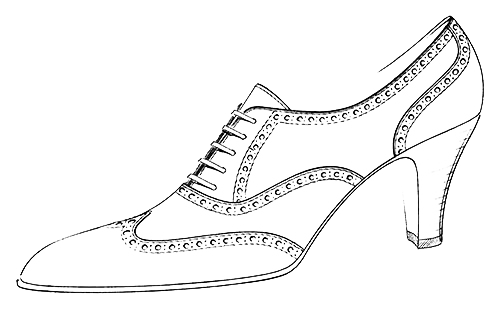 The lining of these shoes will consist of 1mm calf leather, which will have a total thickness between 2.3 and 2.4mm. As a result we will have a completely flexible shoe except for the toecap, reinforced to preserve the style of the last. The rear part of the cutting process will include a heel counter. However we will find a two centimetre wide piping around the edge of the shoe. This will prevent any shape alterations along with the heel-pad in order hug the feet perfectly into place. 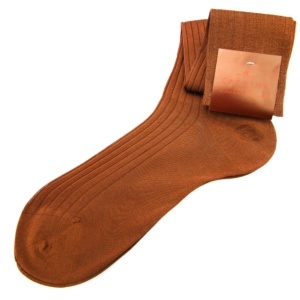 With this, the shoes will not have any slippage and will provide great comfort. From the first use, we will notice their difference from Goodyear welted shoes, which have a relatively higher Zoughness. With this new concept, no breaking in will be needed. They will easily become flexible shoes with the Goodyear- welted support. The flexibility of this product is very different from any other type of shoes. Glued or Blake shoes provide very good sensations for a short period of time and then cause hard skin due to the lack of support. The soles will be manufactured with two layers of 3mm EVA soles separated by a 2mm sole for support and compactness. 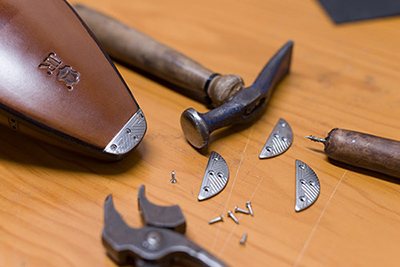 The sole will have a total thickness of 8mm with a stunning and beautiful finish. They will be flexible after very few uses and the appearance will remain unaltered after use. A very important aspect of the soft and hard shoes would be the finish we give them during the last stage of manufacturing. To avoid water absorption, we apply a damp-proof liquid that protects the leather by 80%. This would make water damages less probable. 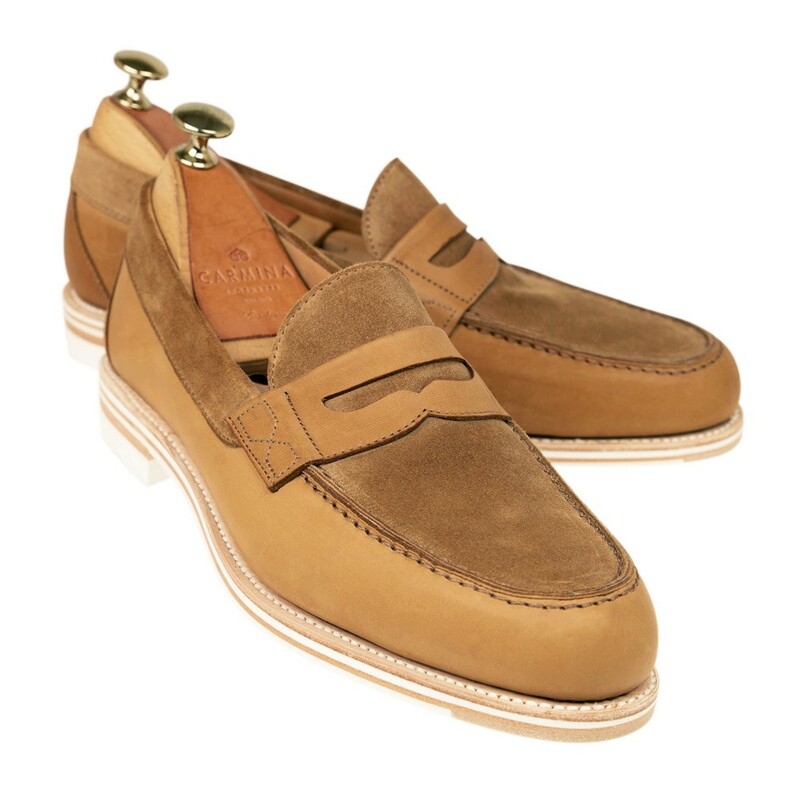 The summer shoe we introduce this year in the new Chelsea last, which is also an addition to our collection, comes with two models and two leather types blue Suede and tan Rusticalf. 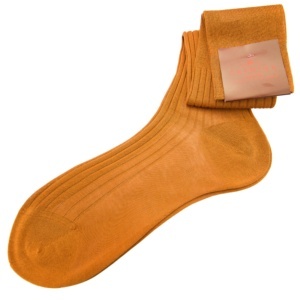 It is an item thought to be worn sockless, manufactured with a thin sole and an extremely flexible edge as well as new heel counters and toecaps. Their main characteristic is having an extremely flexible upper part. The aesthetic of our Soft and hard is very different from the classic Goodyear shoes with a lower pattern, in around 5cm. This will visually be reminiscent of a loafer despite being a laced shoe. 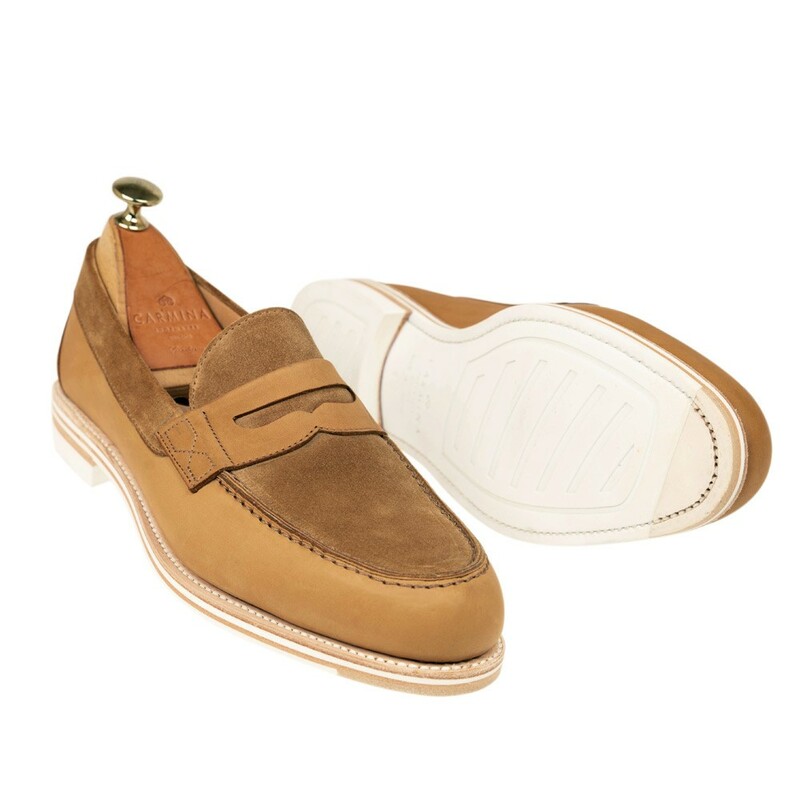 We hope clients are willing to try them since these shoes provide a complete new vision on Goodyear welted shoes.